Charming classic Victorian. The large center hall is flanked by the parlor, bedrooms and kitchen/keeping room. The interior is completely renovated and move in perfect. There is a screen sitting porch and covered porch. The hardwoods are beautiful. Kitchen cabintes are handmade and there is tons of cabinet and counter space...very rare for a house this age. Located in downtown city of Crawford. The sellers calls this home Sunny Gables....you will too. A very rare find so close to Athens. No Recorded Subdivision is a subdivision within the city of Crawford, Georgia. There are currently 7 Homes for Sale within No Recorded Subdivision, with asking prices ranging from $96,000 to $375,000. The average list price per square foot of the available inventory in No Recorded Subdivision is $430, which is above the Crawford average of $339. The Average Sales price of all sold real estate in this subdivision for the past year is $132,914. Recent comparable homes have been selling for 93.87% of their asking price. Waterfront homes represent 42.86% of the available No Recorded Subdivision inventory. The population of Crawford, according to the 2010 Census, is 832. The total number of households in the zip code of No Recorded Subdivision is 913, with an average household size for of 2.53 people. The total number of renter households within the zip code of 30630 is 286, which means that 68.67% of households in this zipcode are owner occupant households. 214 214 North Street, Crawford GA 30630 is a Home, with 3 bedrooms which is recently sold, it has 0 sqft, .51-1 sized lot, and None parking. A comparable Home, has 3 bedrooms and 2 baths, it was built in and is located at 238 East Spring Street Crawford GA 30630 and for sale by its owner at $ 127,500. 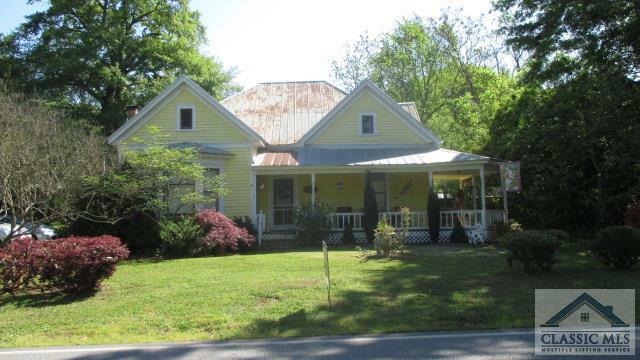 This home is located in the city of Crawford , in zip code 30630, this Oglethorpe County Home, it is in the No Recorded Subdivision Subdivision, and no recorded subdivision are nearby neighborhoods.